Miguel Angel (Jean) Sanó (pronounced sah-NO)...Twitter: @SanoMiguel...Instagram: @miguelsano_22...signed as a 16-year-old from San Pedro de Macoris, Dominican Republic October 9, 2009...was one of the subjects of the 2011 "Ballplayer: Pelotero" documentary. Made Twins Opening Day roster for third time in career and was Opening Day third baseman, batting third March 29 at Baltimore...Recorded an extra-base hit in six straight March 31-April 7, tied for second longest XBH streak in Twins history (Tony Oliva - 7 in 1964, Kent Hrbek - 6 in 1983 and '88, Oliva - 6 in 1971, and Kirby Puckett - 6 in 1986)...Placed on 10-day disabled list on May 1 with left hamstring strain; went on rehab assignment with Triple-A Rochester, playing in nine games...returned from rehab and reinstated May 24...Hit .191 (13-for-68) with 30 strikeouts for the Twins upon his return...Optioned to Single-A Ft. Myers on June 14...played in 23 games between the Miracle and Triple-A Rochester, hitting .295 (23-for-78) with a .415 on-base percentage and was recalled by Minnesota July 28...Missed 12 games after suffering a lower left leg bruise on September 4 at Houston, injuring himself on a slide into second base, attempting to advance on a wild pitch...Came back for one game September 18 at Detroit but experienced more pain in left leg and was shut down for the rest of the season...Played with Estrellas de Oriente in the Dominican Winter League, helping the club win the championship. Made Twins Opening Day roster for second time in career and was Opening Day third baseman, batting fifth April 3 vs. Kansas City; homered in second at-bat ... Suffered second career ejection April 22 vs. Detroit and made contact with Tigers catcher James McCann; served one-game suspension May 9 at Chicago-AL ... Set season high with five RBI April 30 at Kansas City ... Set career high with four hits May 22 at Baltimore ... Participated in T-Mobile Home Run Derby on July 10 at Marlins Park; was the fifth seed and defeated Mike Moustakas in round one with 11 home runs, defeated Gary Sanchez in round two with 11 home runs, then lost to Aaron Judge in the finals with 10 home runs to Judge's 11 ... Hit .276 (83-for-301) with 21 home runs and 62 RBI in 82 games pre-All-Star break and was selected to first career AL All-Star team as a reserve; entered the game in the bottom of the fourth inning and played third base; went 1-for-1 and drove in the AL's first run with a single ... Tied career high with 10-game hitting streak June 30-July 8 ... Missed time in early August after being hit by a pitch in same spot on left hand multiple times within a week ... Hit 26th home run August 13 at Detroit, setting a new single-season career high; finished with 28, second-most on club ... Placed on 10-day disabled list August 21 with a left shin stress reaction; reinstated September 29 and played in three games ... Ranked second on club in home runs (28), third in RBI (77) and runs (75), and fourth in walks (54). Made Twins Opening Day roster for first time in career and was Opening Day rightfielder, batting third April 4 at Baltimore. Suffered first career ejection April 10 at Kansas City, arguing balls and strikes with home plate umpire John Hirschbeck. Homered in four straight games May 25-29, one game short of the Twins record. Placed on 15-day disabled list June 1 with a left hamstring strain, an injury he suffered running to first base the previous night in Oakland. Reinstated from disabled list July 1. Hit safely in career-high 10 straight games July 5-19. Recorded second career two-homer game August 7 at Tampa Bay; set season-high with four RBI. Reached 20 homers for first time in career August 12 vs. Kansas City. Set Twins single-season record for strikeouts (178), which also tied for fourth in the AL. Set career-highs in games (116), home runs (25), RBI (66), doubles (22), walks (54) and runs (57). Ranked second on club in home runs and RBI, third in runs, and tied for third in doubles. Optioned from Twins spring training to Double-A Chattanooga March 16....Hit fifth career grand slam April 17 vs. Birmingham.... Hit .159 (10-for-63) in 18 April games, .303 (30-for-99) in 26 May games and .329 (26-for-79) in 22 June games, all with Chattanooga.... Named Twins minor league Player of the Week May 17, hitting .379 (11-for-29) with four doubles, three home runs, eight RBI, three walks and a .438 on-base percentage.... Named Southern League All-Star and started at third base, batting fourth for the North Division, going 2-for-5 with a double, RBI and a run.... Recalled from Double-A Chattanooga July 2.... Recorded first major league hit July 2 at Kansas City, hitting an infield single off Greg Holland.... Recorded first career RBI July 3 at Kansas City, with a single.... Hit safely in first seven career games, marking the third longest for a Twin to start career...also walked six times in first seven games, tying him with Danny Ardoin for second most walks in club history in his first seven games.... Hit first career home run July 7 vs. Baltimore, a two-run shot off Kevin Gausman....Missed two games in late July with a sprained right ankle.... Hit safely in season-high eight straight games twice: July 24-August 1 and September 13-20.... Recorded first career two-homer game August 12 vs. Texas, including six RBI, third most RBI by a rookie in a single game in club history (Tony Oliva - 1964 and Oswaldo Arcia - 2013)....Homered August 25 at Tampa Bay becoming the first player age 22-or-younger with 12 home runs within his first 45 career games since Adam Dunn (2001)...joined Orlando Cepeda (1958) and Albert Pujols (2001) as the only players that young with 12 home runs and 37 RBI in first 45 games (ESPN Stats & Info)....Named AL Rookie of the Month for August after hitting .278 (27-for-97) with seven doubles, nine home runs and 26 RBI...led all AL rookies in home runs, RBI and slugging percentage (.629)...nine home runs tied for second most all-time among Twins rookies in any month: Jimmie Hall had 13 in August of 1963 and Tony Oliva had nine in May of 1964.... Hit game-winning solo home run in 12th inning September 9 at Kansas City, giving Twins a 3-2 victory...according to Elias, he became just the second rookie in the last 27 seasons (1989-2015) to hit a pinch-hit game-winning home run in the 12th inning-or-later (Lyle Overbay - 2003 and Mark Parent -1988).... Combined to hit .271 (141-for-520) with 35 doubles, 33 home runs, 100 RBI and 91 walks in 146 games between Chattanooga and Minnesota....Finished eighth on Twins all-time list in home runs (18) for rookies and most since Marty Cordova hit 24 in 1995; his 53 walks ranked 10th. ... Ranked second among AL rookies in home runs and fifth in baseball...ranked third in RBI (52) among AL rookies...among rookies with 200 at-bats, he ranked first in on-base percentage (.385) and slugging percentage (.530).... Given Calvin R. Griffith Award for Most Valuable Twin and Bill Boni Award for Twins Outstanding Rookie, both awards voted on by the Twin Cities Chapter of the BBWAA...became second Twins rookie to ever win Calvin R. Griffith Award, the other being Tony Oliva in 1964....Finished third in the AL Rookie of the Year voting with 20 voting points (all 3rd place votes), behind Carlos Correa (124 points) and Francisco Lindor (109 points).... Named third baseman on MiLB.com Twins organizational All-Star team.... Named designated hitter on Topps MLB All-Star Rookie Team.... Ranked top prospect in Southern League by Baseball America (one spot in front of teammate Byron Buxton). Missed entire season due to "Tommy John" surgery on right elbow...Surgery performed by Dr. David Altchek March 12...Added to Twins 40-man roster November 20...Ranked second best prospect in Twins system and best power hitter by Baseball America entering 2015...Named 11th best prospect in baseball by MLB.com entering 2015. Started season with Single-A Ft. Myers and hit .368 (35-for-95) with seven doubles, nine home runs and 24 RBI in 25 April games…Hit third career grand slam April 16 vs. Palm Beach…Reached base safely in 27 straight games April 20-May 21, posting a .470 on-base percentage in that span…Selected to play for the World Team in the Sirius-XM All-Star Future's Game at Citi Field in New York; started at third base and batted fourth, going 0-for-2 with a walk…Named Florida State League Midseason All-Star; did not play due to promotion to Double-A New Britain June 10…Ranked third best prospect in baseball at Midseason by Baseball America, behind Minnesota's Byron Buxton and St. Louis' Oscar Taveras…Named Eastern League Player of the Week August 12, hitting .417 (10-for-24) with four doubles, three home runs, 10 RBI and five runs scored in six games for the Rock Cats…Hit nine home runs and recorded 23 RBI in 25 August games…Recorded four multi-homer games, all coming after June 8, one with the Ft. Myers and three with New Britain…Combined to hit .280 (123-for-439) with 30 doubles, five triples, 35 home runs, 103 RBI, 86 runs scored, 65 walks and 11 stolen bases in 123 games between both levels…Ranked third among all minor leaguers in home runs (35), second in slugging percentage (.610) and OPS (.992), tied for second in extra-base hits (70), sixth in total bases (268), and tied for seventh in RBI (103)…His 35 home runs were tied for sixth most ever for a Twins minor leaguer (since '61) and most since Stan Holmes hit 37 for Single-A Visalia in 1983…Named third baseman on MiLB.com Twins organizational All-Star team…Named High Class-A Player of the Year, Minor league All-Star and High Class-A All-Star by Baseball America…Ranked second best prospect and best power hitter in the Twins system by Baseball America entering 2014. Spent season with Single-A Beloit...hit first career grand slam April 6 vs. Peoria...named Twins minor league Player of the Month for April, hitting .276 (24-for-87) with five doubles, six home runs, 21 RBI and 17 runs scored...named Twins minor league Player of the Week May 4, hitting .500 (10-for-20) with two home runs and nine RBI...named Midwest League Player of the Week August 20...named Midwest League All-Star Game selection...led Midwest League in home runs (28), RBI (100) and total bases (238), and second in walks (80)...Midwest League Prospect of the Year...Midwest League Mid- and Postseason All-Star...Baseball America Second-Team minor league All-Star...Baseball America Low Class-A All-Star...ranked second best prospect in the Midwest League by Baseball America...named third baseman on MiLB.com's Twins organizational All-Star team...named top prospect in Twins organization by Baseball America entering 2013, ninth best prospect in baseball by Baseball America and 12th best in baseball by MLB.com...recipient of Sherry Robertson Award as Twins minor league Player of the Year. Spent season with Rookie Elizabethton...went 4-for-5 with two doubles and a home run June 28 vs. Johnson City...named Twins minor league Player of the Week July 8...recorded first career multi-homer game July 19 vs. Bristol (3 on the season)...hit .351 (27-for-77) with seven doubles, 10 home runs and 30 RBI in final 18 games August 12-30...Appalachian League Player of the Week August 1-7 and August 29-September 5...named Appalachian League Postseason All-Star and Baseball America rookie All-Star...ranked top prospect in Appalachian League by Baseball America...named top prospect in Twins organization by Baseball America entering 2012; 18th best prospect in baseball by Baseball America, and 23rd best prospect in baseball by MLB.com...named to MiLB.com's 2011 Twins organizational All-Star team. Began professional career with DSL Twins...homered in first career at-bat, hitting a solo home run in the first inning vs. DSL White Sox...named Twins minor league Player of the Week August 27...led team in average (.344), on-base percentage (.463) and slugging percentage (.547)...transferred to GCL Twins July 5...finished second on club in doubles (14) and slugging percentage (.466)...ranked second best prospect in Gulf Coast League by Baseball America...ranked third best prospect and best power hitter in the Twins organization by Baseball America...ranked 60th best prospect in baseball by Baseball America entering 2011...named to MiLB.com's Twins organizational All-Star team. Ranked as the Twins fourth best prospect and 94th best in baseball by Baseball America entering the 2010 season. 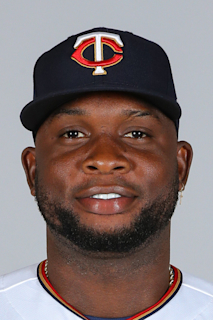 March 27, 2019 Minnesota Twins placed 3B Miguel Sano on the 10-day injured list. Right heal laceration. January 2, 2019 3B Miguel Sano assigned to Estrellas Orientales. July 28, 2018 Minnesota Twins recalled 3B Miguel Sano from Rochester Red Wings. July 20, 2018 3B Miguel Sano assigned to Rochester Red Wings from Fort Myers Miracle. July 16, 2018 Fort Myers Miracle placed 3B Miguel Sano on the temporarily inactive list. June 14, 2018 Minnesota Twins optioned 3B Miguel Sano to Fort Myers Miracle. May 24, 2018 Miguel Sano roster status changed by Minnesota Twins. May 19, 2018 Minnesota Twins sent 3B Miguel Sano on a rehab assignment to Rochester Red Wings. May 1, 2018 Minnesota Twins placed 3B Miguel Sano on the 10-day disabled list retroactive to April 28, 2018. Left hamstring strain. October 4, 2017 Minnesota Twins activated 3B Miguel Sano. October 3, 2017 Minnesota Twins reassigned 3B Miguel Sano to the minor leagues. September 29, 2017 Minnesota Twins activated 3B Miguel Sano from the 10-day disabled list. August 21, 2017 Minnesota Twins placed 3B Miguel Sano on the 10-day disabled list. Left shin stress reaction. May 10, 2017 Minnesota Twins activated 3B Miguel Sano. May 9, 2017 3B Miguel Sano roster status changed by Minnesota Twins. July 1, 2016 Minnesota Twins activated 3B Miguel Sano from the 15-day disabled list. June 24, 2016 Minnesota Twins sent RF Miguel Sano on a rehab assignment to Rochester Red Wings. June 1, 2016 Minnesota Twins placed RF Miguel Sano on the 15-day disabled list. Left hamstring strain. July 2, 2015 Minnesota Twins recalled RF Miguel Sano from Chattanooga Lookouts. March 16, 2015 Minnesota Twins optioned 3B Miguel Sano to Chattanooga Lookouts. November 20, 2014 Minnesota Twins selected the contract of Miguel Sano from Chattanooga Lookouts. April 2, 2014 Miguel Sano roster status changed by New Britain Rock Cats. January 9, 2014 Minnesota Twins invited non-roster 3B Miguel Sano to spring training. June 10, 2013 3B Miguel Sano assigned to New Britain Rock Cats from Fort Myers Miracle. April 1, 2013 Miguel Sano assigned to Fort Myers Miracle from Cedar Rapids Kernels. March 21, 2013 3B Miguel Sano assigned to Minnesota Twins. October 27, 2012 3B Miguel Sano assigned to Estrellas de Oriente. April 4, 2012 3B Miguel Sano assigned to Beloit Snappers from Elizabethton Twins. June 20, 2011 Miguel Sano assigned to Elizabethton Twins from GCL Twins. June 16, 2011 GCL Twins placed 3B Miguel Sano on the reserve list. July 5, 2010 3B Miguel Sano assigned to GCL Twins from DSL Twins. May 30, 2010 DSL Twins signed Miguel Sano.